An American actress and comedian who portrayed Susan Fischer in the Netflix original series Orange Is the New Black and Jess in HBO's Crashing. She has also made appearances on such television shows as Jimmy Kimmel Live!, The Middle, Hot in Cleveland, and @midnight. She has appeared on many podcasts, including Comedy Bang! 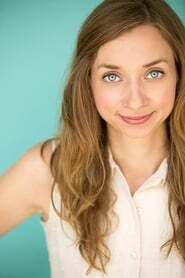 Bang!, improv4humans, and her own podcast With Special Guest Lauren Lapkus. She was a main cast member on the TBS original sitcom Clipped. Lapkus grew up in Evanston, Illinois, and graduated from DePaul University in 2008 with a degree in English. After living in New York City for a little over a year, she moved to Los Angeles in 2010 to pursue an acting career.